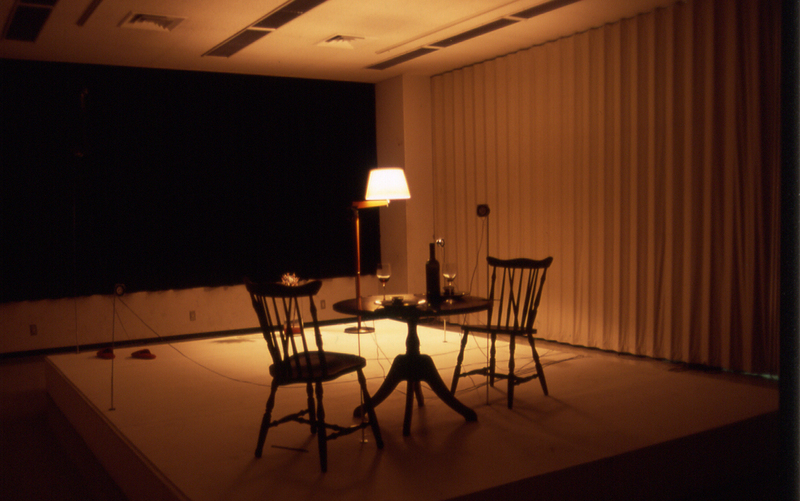 The sound is heard from eight speakers set up in different positions in the three dimensions of the space. The order and timing of the sounds have been programmed in advance, and concrete sounds are heard simultaneously or successively, reacting or not to each other. 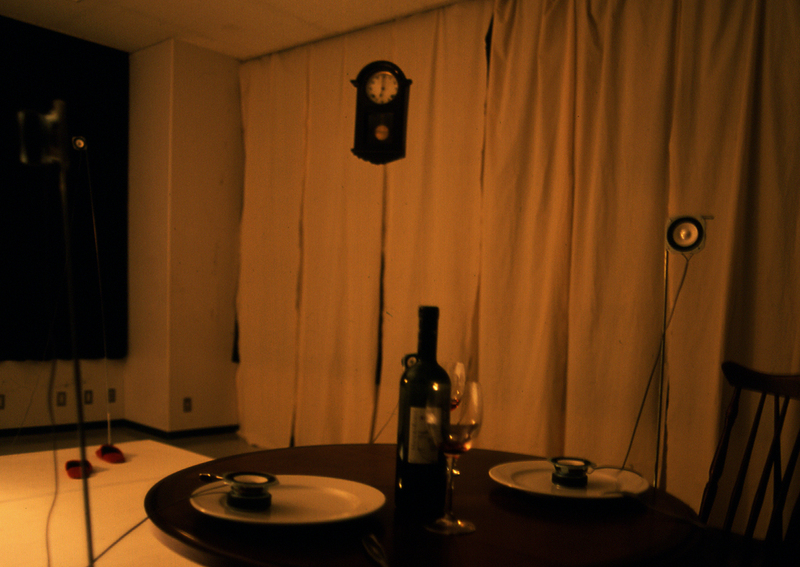 The sounds: voices, footsteps, eating and drinking noises, etc. altogether produce a non-linear story. 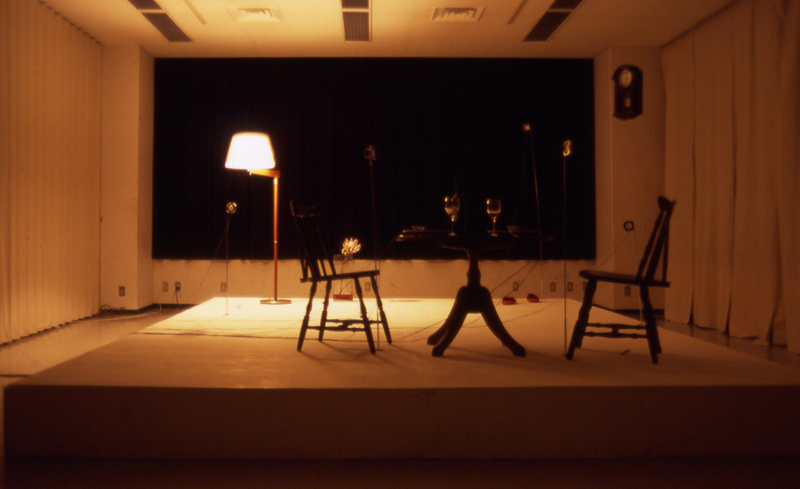 This stage depicts a landscape which has already disappeared. Things remain, things remind. The spectators see invisible events. Invisibility is given as a "room" for imagination and possibilities. The spectators see what they want to see. The installation does not change visibly. Only the light turns on when the story begins, and turns off when it ends. Nothing changes, but we can "see" everything happening, and even more precisely because there is nothing visible.